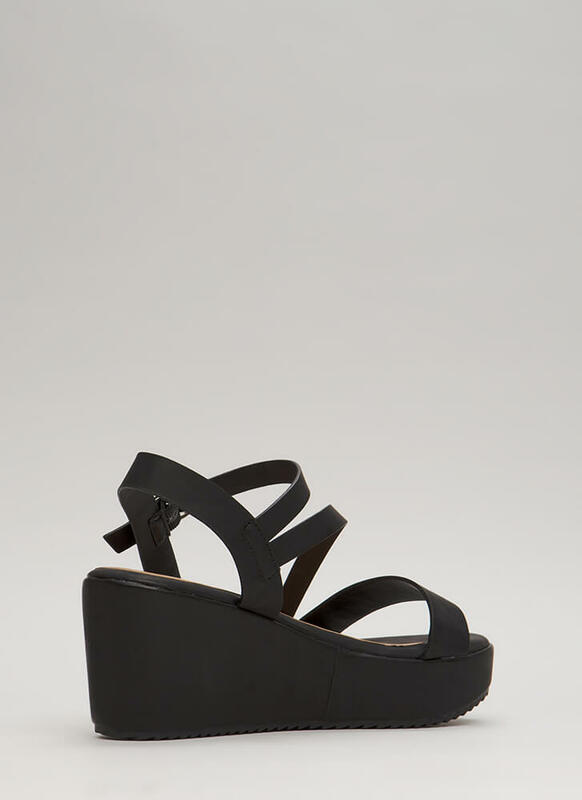 You've got enough heels. 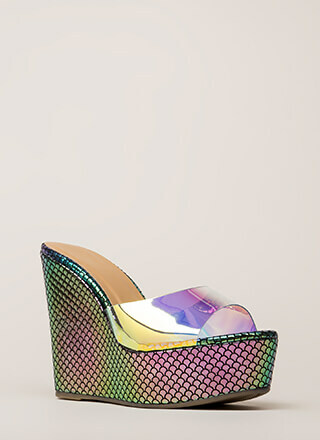 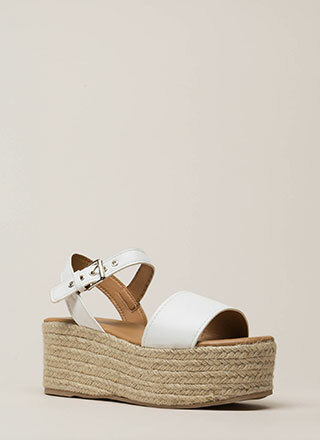 It's time to start a new collection -- wedges! 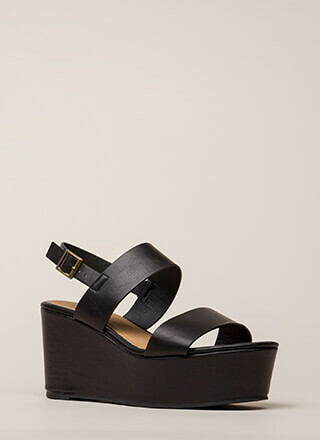 Open-toe vegan leather platform wedges feature a wide toe strap, a slim diagonal vamp strap, and a combination slingback ankle strap complete with an adjustable buckle. 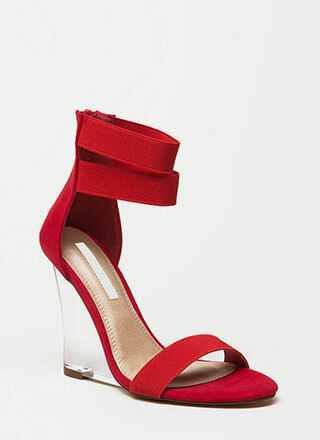 Shoes are finished with an exposed heel and a jagged ridged sole.